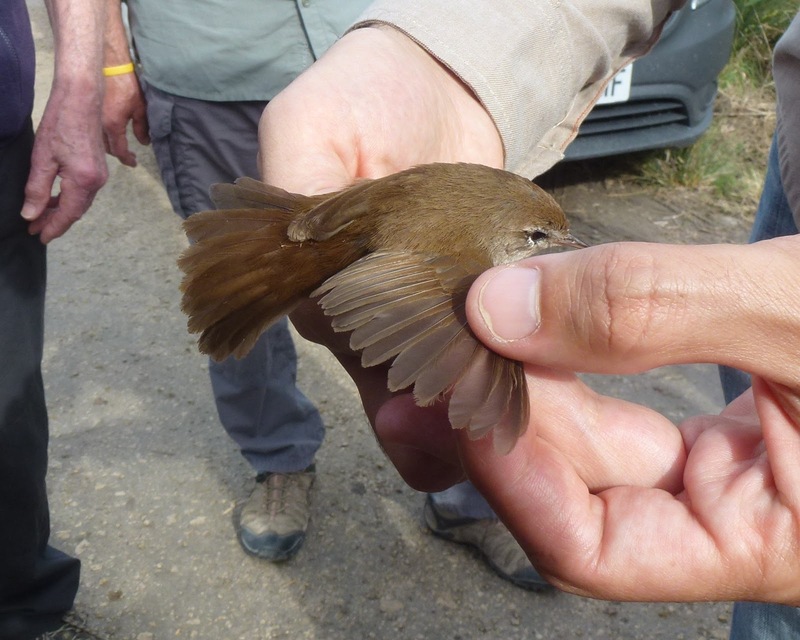 Cetti's warbler, showing its rounded tail and short wings. 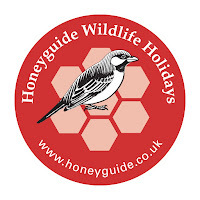 The Honeyguide group in March 2018, as in March 2016, was also privileged to see the results of a ringing session at Pego. High winds meant the first date was called off but all was well when we arrived shortly after breakfast on 14 March. Several birds, all caught in mist nets put up by a path through the reedbed, had already been ringed, weighed and measured. 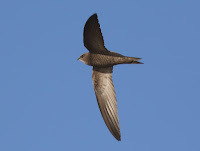 The timing was perfect to see then release five different species. A wintering chiffchaff and a resident Cetti’s warbler were no surprise. Moustached warbler is an important local bird. 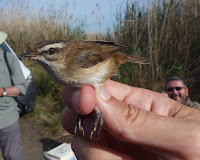 Generally though to be a resident species, unlike the similar sedge warbler, ringing returns show that Pego Marshes also supports birds that move here from southern France, in a stroke doubling the importance of wetlands near the coast in this part of Spain. 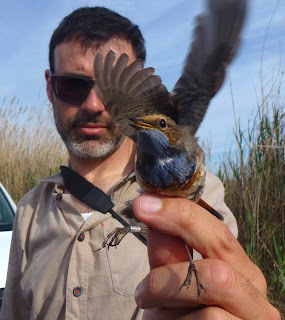 Reed bunting and a feisty white-spotted bluethroat were the final birds. We left the ringers to put away their equipment and went to walk in another area nearby.